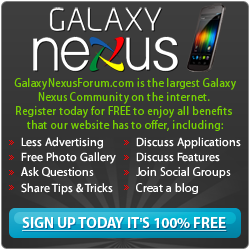 Below you will find a list of discussions in the Sprint (US) forums at the Galaxy Nexus Forum - Samsung Galaxy Nexus Community. The Sprint (US) forum is for discussion of: Sprint Discussions. Got questions about the Galaxy Nexus on Sprint? This is the place to post!. Stuck In Boot Loader. Please Help!! Welcome to the Sprint Galaxy Nexus Forum!